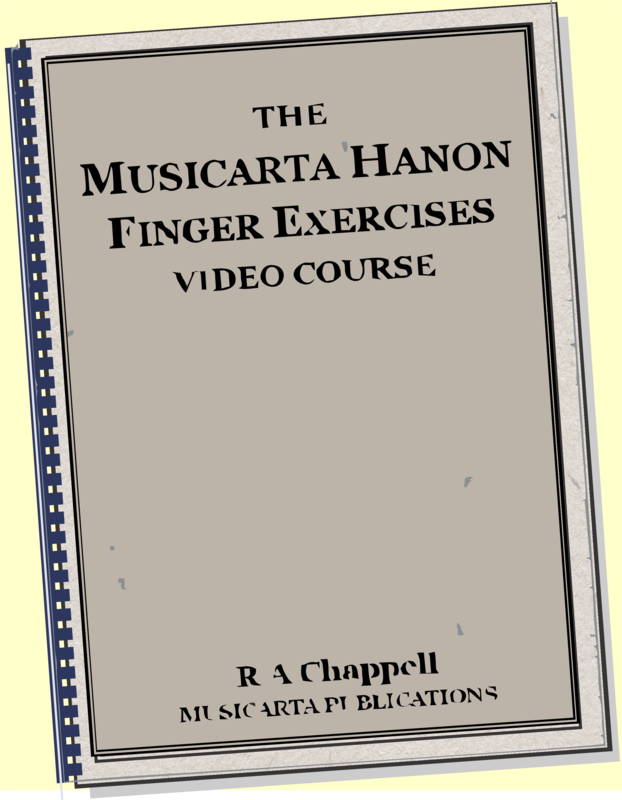 The ways of looking at the pentatonic scale practice patterns explained in this module will help you be more creative and spontaneously find melodies at the keyboard. Here is a scale-tone practice pattern from the Musicarta Scale-tone Practice Patterns web page. It uses the normal, seven-note major scale. You can quickly see the pattern. The groups overlap by one note. Here’s a table with that information. The table doesn’t show the notes – only the movement between them. It tells you that you start on the tonic (T, name-note of the scale), go up a step (S, to a next-door note), up another step, then down a step and repeat. Descending, the pattern is the exact reverse. 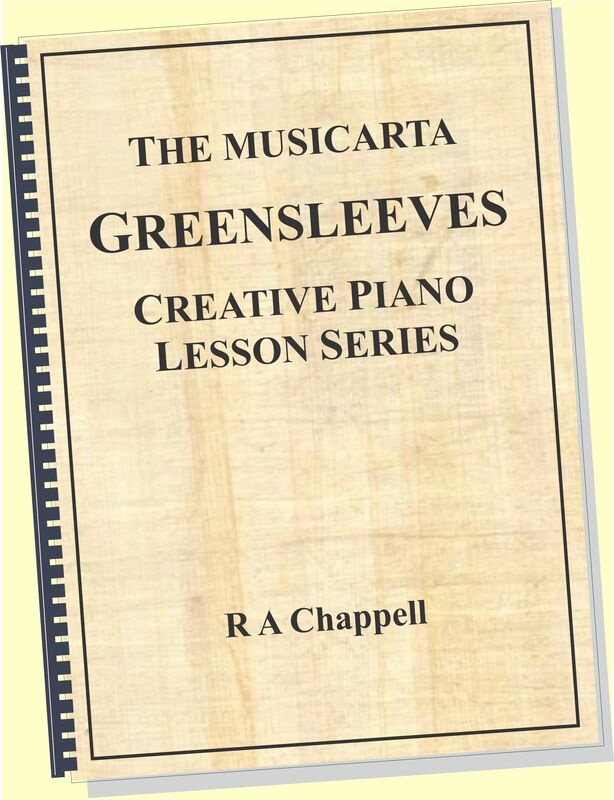 Now, some of the piano keys aren’t next-door keys, but the notes are still next-door notes in the pentatonic scale, so they are still steps (S). 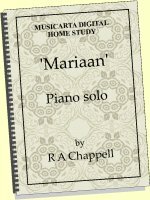 This is a very useful practise piece – it’s “nearly music already”. Here is the same pattern using the notes of the C minor pentatonic scale. 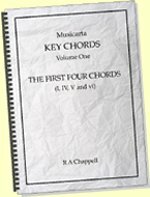 If you do not easily read key signatures, refer to the C minor pentatonic diagram or count off the semitones to find the two black keys used in the C minor pentatonic scale. Scale-tone practice patterns that already have skips in them need more care. Here is an ordinary, major scale practice pattern with both skips and steps. Here is the up-down, step-skip pattern, ascending. K stands for ‘skip’. "Skip up, step down, skip up, step down..." Coming back down, the skip-step pattern is the same and the up-down is the exact opposite. With a little further development, this kind of pattern is real ‘solo material’. Here’s another major-scale mixed skip and step pattern in groups of five notes. 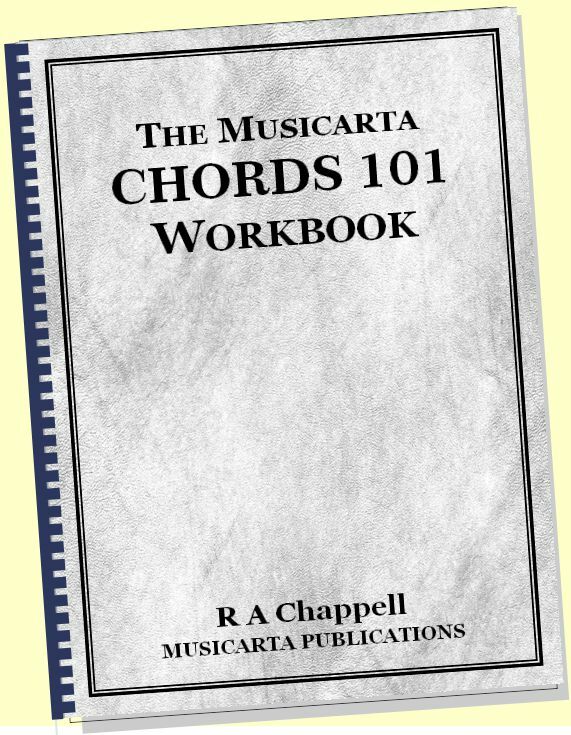 You can take any of the scale-tone practice patterns on the Musicarta Scale-tone Practice Patterns web page and transform them into pentatonic practice patterns using up-down, step-skip analysis. 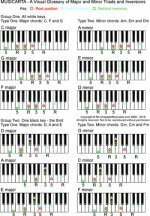 Of course, you should practice patterns like these in other pentatonic keys. 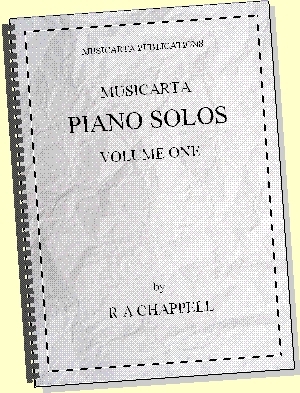 Use the MIDI files in the download and Key function on MidiPiano to get started. Listen out for slight changes your ear suggests to transform these exercises into bits of ‘real music’. Listen out also for anything the practice patterns ‘sound like…’ (pop songs, film music and so on), and see if you can work out what it is, and how it goes. 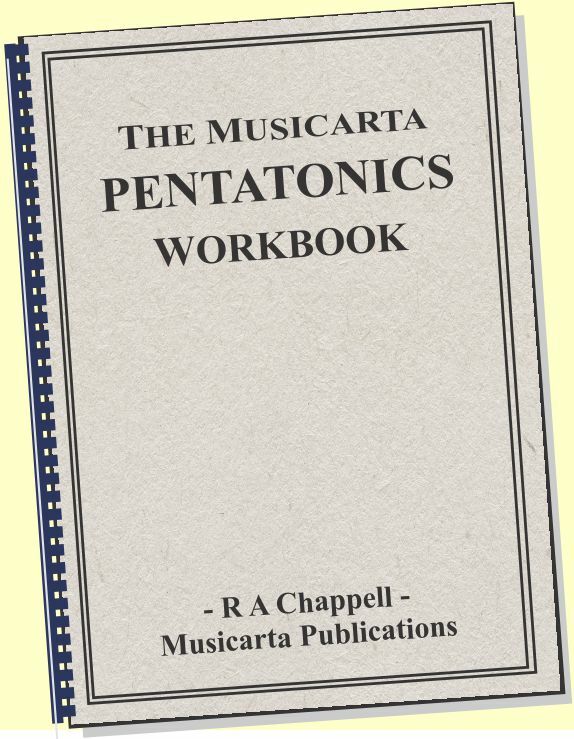 We will be using up-down, step-skip to describe melody lines throughout the Musicarta Pentatonics Workbook. 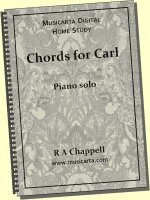 It's not essential that you understand it perfectly, but it is an empowering way to think about pattern and melody - it makes you more of a creator-composer and is great practice for improvising.